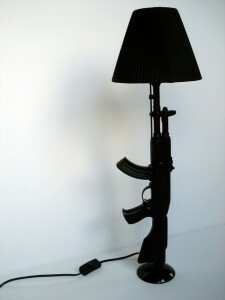 Created my own AK-47 lamp after seeing Philippe Stark’s originals. 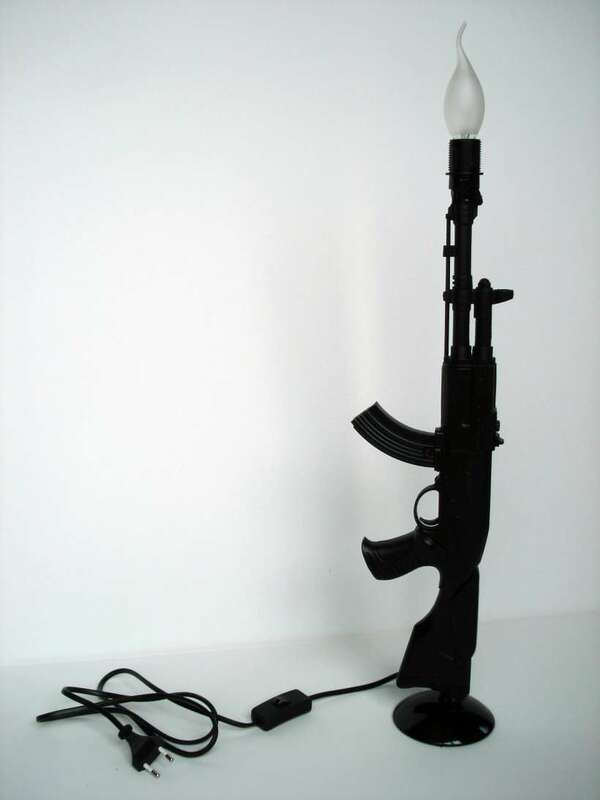 The lamp is fully functioning and has a switch in the power cord. 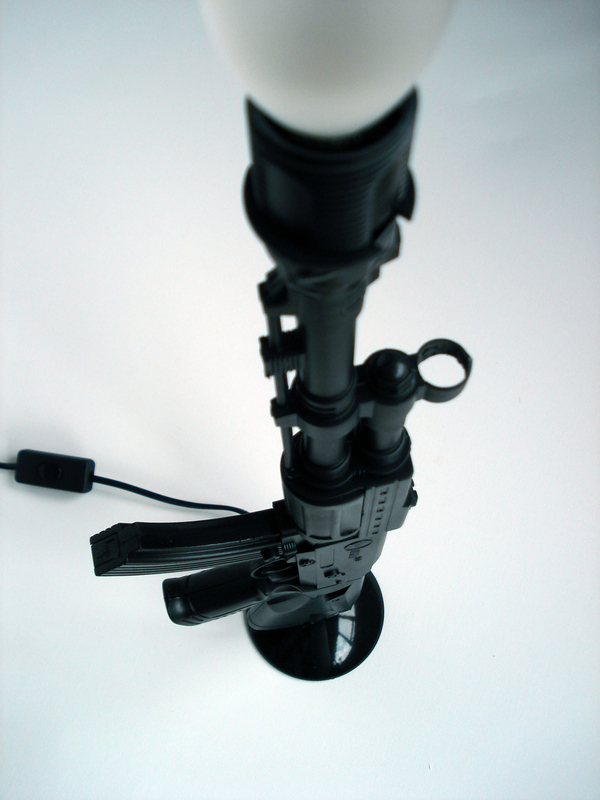 Only the base and cap holder are metal. The kalashnikov itself is a plastic toy gun.